In addition to the two lunches (Wednesday and Thursday) and one dinner (Wednesday) included in the conference, there are a number of optional events attendees can sign up to participate in, some of them also available to families and guests. Registration for these events for conference attendees and guests is via the conference registration form. If you have already registered for the conference, but would now like to add optional meals and/or events for yourself, your family or friends, please do so via the Optional Meals and Events Form. One of the more popular recreational areas of Texas is Lake Austin, which is a reservoir formed on the Colorado River. This area is also home to a number of Texas Hill Country wineries. We will depart Fredericksburg at 1:00 PM for Spicewood Vineyards, often the source of Top 10 Texas Wines. We then depart for nearby Stone House Vineyard, with the winery made of massive 2,000-pound limestone bricks and the wines reflecting the Australian heritage of its owner. We then head to Flat Creek Enoteca for a Texas-style prime rib dinner (vegetarian options available) cooked over the bistro’s wood-fired oven. We’ll be back in Fredericskburg around 8:00 PM. Cost is $125 per person including transport, local guide, tastings, and dinner. Open to families and guests. The Tuesday dinner will take place after the Expo and run from 6:45 – 9:45 PM. Hosted by William Chris Vineyard experience some good old Texas Hill Country hospitality and enjoy some fantastic wines. Open only to conference attendees as attendance is limited. $50 per person. The Wednesday evening dinner is included for conference attendees but is also open to guests and family members for a separate charge. At 6:00 PM we will depart the host hotels for dinner and dancing at Luckenbach Texas. Luckenbach is a classic Texas roadhouse, established in 1849 and made even more famous by the Waylon Jennings & Willie Nelson song. 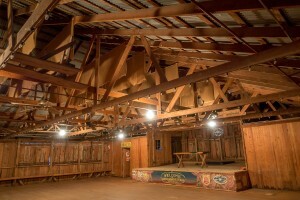 We will take over the dance hall for Texas grub and dancing to a local band. No dancing experience is necessary and everyone is welcome! Included for conference attendees. Open to families and guests for $65 per person. On Thursday after the official close of the conference we will have an optional trip to Fall Creek Vineyards and Salt Lick BBQ in the small town of Driftwood, Texas. Fall Creek Vineyards is one of the original pioneers of Texas wine, having operated for four decades. We will visit their new facility in Driftwood for a pre-dinner tour and tasting. Just across the street is the iconic Salt Lick BBQ, a grand production of Texas charm with roots back to the wagon trains of the mid-1800s. (Not a great option for vegetarians.) Open only to conference attendees as attendance is limited. $50 per person. We depart Fredericksburg at 9:30 AM for Kerrville Hills Winery, built on a hill overlooking the small town of Kerrville and the Guadalupe River valley. We then move on to Bending Branch Winery, organically and sustainably farmed, with grape varietals including Sirah, Picpoul Blanc, Cabernet, Souzao, Vermentino and their signature grape Tannat. We then relax at High’s Cafe & Store in the small town of Comfort, Texas for a casual deli lunch. Our final winery stop is Singing Water Vineyards, with an historic barn as a tasting room, before heading back to Fredericksburg with a 3:00 PM arrival, in plenty of time to depart for the airport for flights home that afternoon. Cost is $95 per person including transport, local guide, tastings, and lunch. Open to families and guests. LBJ Ranch, Wildseed Farms, Fort Martin Scott, and Texas Rangers Heritage Center: The Lyndon B Johnson National Historical Park, just outside nearby Stonewall, Texas, tells the story of our 36th President from his ancestors through to his final resting place. After this inspiring tour, you can visit Wildseed Farms to learn about how this Texas nursery helps wildflowers grow alongside highways, purchase seeds for your home, and eat in the famous Brewbonnet Biergarten. Then it is on to Fort Martin Scott, the first military outpost on the western frontier of Texas, active from 1848 to 1853. Your final stop could be the Texas Rangers Heritage Center, where the famous Texas law enforcement organization honors its history and current and former members. Enchanted Rock Hiking and Picnic: The Enchanted Rock State Natural Area features a large pink granite dome that rises above a beautiful lake and the nearby Texas Hill Country. This cooled magma uplift from a billion years ago makes for a perfect day hike and picnic location and you can spend the hours hiking, learning about the local geology and wildlife, and enjoying time outdoors. Garrison Brothers Distillery, Hye Market , and Pedernales Brewery: The Texas Hill Country is not just wine country. Distilleries and breweries, as they have over most of America, have taken root in the local towns. You can visit the small town of Hye, population roughly 100, to tour the Garrison Brothers Distillery, the first and oldest legal whiskey distillery in Texas. 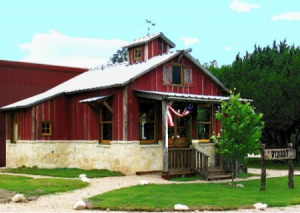 Hye Market has a Restaurant, Market and Tasting Room for locally hand selected Texas craft beers, wines and food. You can include James Avery jewelers headquarters if you wish and visit the local Pedernales Brewery. Experience Main Street: Fredericksburg is a classic small town worth spending a day or longer, including great options for shopping, museums, art galleries, and dining. Main Street is within walking distance of our host hotels, so you can choose to visit at any time. National Museum of the Pacific War: Just off Main Street but worth its own mention is the Smithsonian-quality National Museum of the Pacific War. History and military buffs should plan to spend three hours visiting the museum. Golf: The municipal Lady Bird Johnson Golf Course just underwent a $2 million renovation and with a length of 6,686 yards on 18 holes should keep any golfer happy.